What’s so appealing about hosting a party in a parking lot before a sporting event? Everything! Americans love tailgating and take credit for inventing this unique form of entertaining, usually a triumvirate of beer, balls, and barbecue. Recently, we posted our top 10 tailgating tips. Embedded in that blog post was a promise to share with you our favorite equipment. Now we’re making good on it. You won’t see any battery-draining margarita blenders, big screen plasma TVs, or silver candelabra here. Just useful stuff that will make you look like the serious and capable tailgater that you are. Don’t forget to check out our recipe collection for wings, brats, and other tailgate appropriate foods. Hint: Steven’s recipe for the Ultimate Cheesesteak is not to be missed. Seriously. 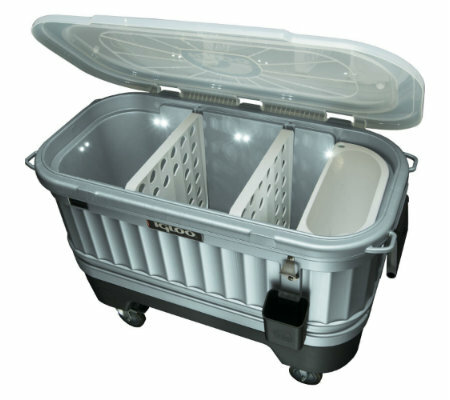 Bright LED bulbs in the underside of the removable lid, sturdy locking wheels and casters, a built-in bottle opener and lid catcher, and removable food and drink dividers make this one of the coolest coolers on the market. A threaded drain plug (garden hose compatible) makes clean-out easy. Perfect for pre-dawn set-up or night games. The lights run on four AA batteries. Price: $199.00. If you’re a charcoal griller, it can be difficult to dispose of spent charcoal when you’re at a tailgating venue. 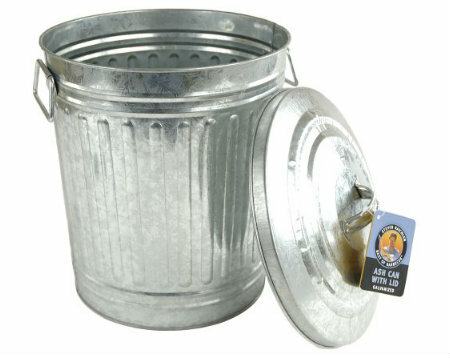 This galvanized steel can is the ideal receptacle. Spent ashes can cool off while you enjoy the game, then be safely disposed of. Price: $24.99. You want the power and the glory! The glory has to come from your grilling skills and your team. 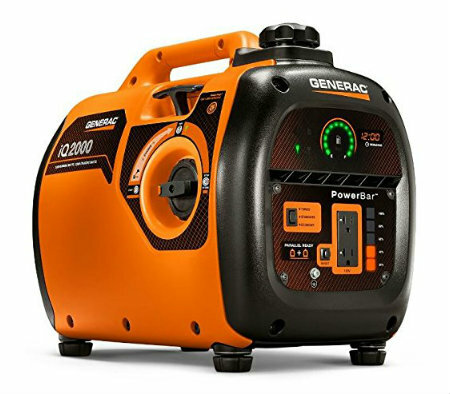 For the power, look to this compact generator. The ultra-lightweight design is specifically engineered for easy portability. Select from three engine speeds, depending on the electrical demand, to significantly reduce noise (your tailgating neighbors will appreciate this) and fuel consumption. Plus, parallel capability means you can combine two generators for nearly double the power. The smart LED dashboard shows fuel level, remaining run-time, wattage use and generator status. Price: $799.00. People who bring potholders to the parking lot are deserving of ridicule. 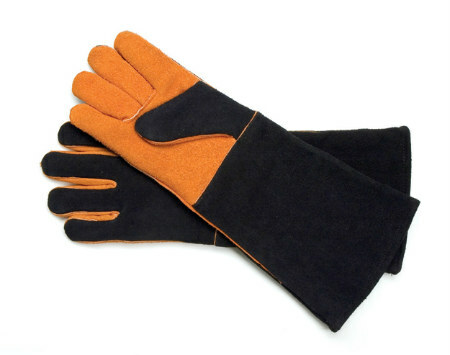 Man up with these macho-looking grilling gloves. Their 18-inch length guarantees your arms will be protected up to the elbow. The pliable leather doesn’t hinder dexterity. Highly rated on Amazon.com by users. Price: $18.99. You’ll look like a tailgating pro when you set up your portable camp kitchen. 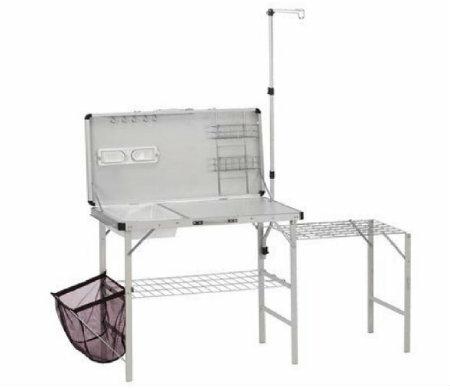 It provides valuable flat surfaces for cooking, prepping, or serving, and features space for a portable grill, a wire shelf for pantry items, condiment racks for sauces and rubs, a removable basin for hot water, a garbage bin, a paper towel holder, and even a hook for a lantern. Folds for easy and compact transport in its own carrying case. Price: $99.99. 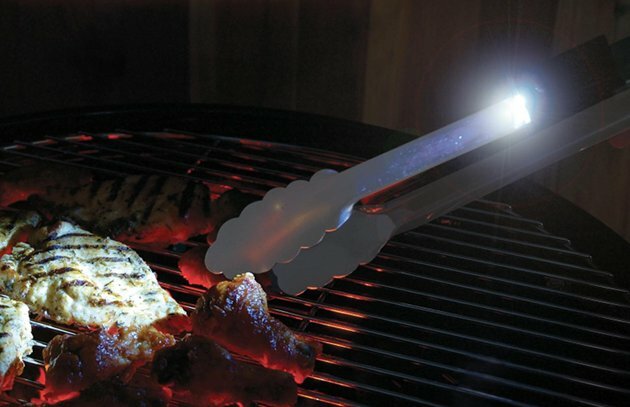 These are sturdy well-made grilling tongs with a valuable feature: a small but powerful flashlight that illuminates the food on your grill with two bright halogen lights. One of the best sellers in Steven’s Best of Barbecue line. The tongs are dishwasher safe if you remove the flashlight. Price: $19.97. A hot water source can be a long hike away! Keep a supply of precious hot water on hand while tailgating or camping. 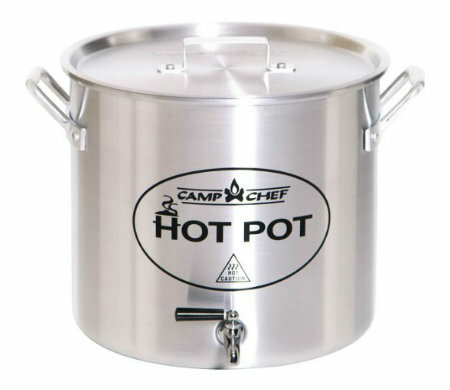 This 5-gallon aluminum hot water pot features a spigot-style valve for easy dispensing and a lid to retain heat. Great for hot chocolate or tea, food prep, personal hygiene, and rinsing dishes. Price: $42.00. 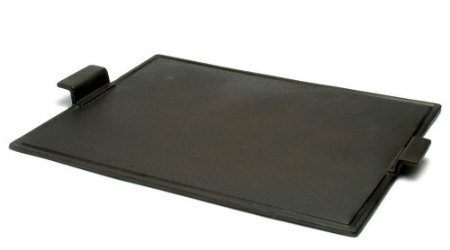 When tailgating parties straddle breakfast and lunch, you’ll appreciate the capabilities of this cast iron griddle. 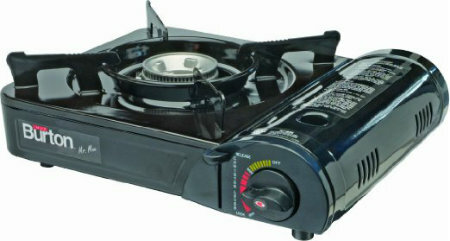 Fry eggs or hash browns, sizzle breakfast sausages, or toast cheese sandwiches or quesadillas. Great, too, for fish, shrimp, or vegetables. Price: $39.57. Ensure the meats and poultry you’re grilling on the asphalt are done perfectly and cooked to safe temperatures. This thermometer delivers readings in just 6 seconds on an easy-to-read digital display. 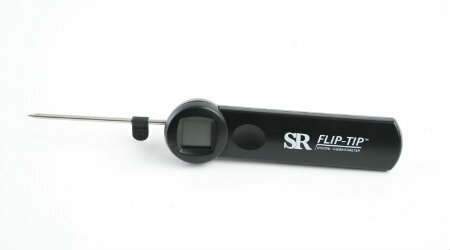 A folding probe features a unique silicone depth gauge for accuracy. Price: $14.99. As seen on the set of Steven’s new show, Project Smoke, this tabletop burner is a great addition to your portable kitchen. It runs on cans of butane (at a recent party, one canister lasted for nearly 3 hours). Heat water, scramble eggs, warm barbecue sauce—you’ll find lots of uses for this handy device when you’re roughing it on the asphalt. It comes with its own carrying case. Price: $31.19. Get more ideas and recipes in Raichlen’s Tailgating! ebook.